Pixi Skintreats Retinol Tonic is a unique product because it is a toner rather than a retinol cream or serum, and I really like it! The texture and feeling is a liquid toner than feels nice and cooling on the skin. I love how it makes the skin feel super clean and plump right after you use it. It’s easy to apply; I find it best to apply it to the skin via a cotton round or two. But, the downside to that is you end up wasting a bit of product because it absorbs into the cotton. Short term, I noticed that my skin felt and looked good. It was feeling plump, hydrated, and it was even glowing. After using Pixi Skintreats Retinol Tonic for a longer period of time, my skin was looking and feeling great. My skin was very moisturized and hydrated, my fine lines and wrinkles were feeling smoothed, and the overall tone and texture of my skin was plump and clear. I was super impressed! Overall, Pixi Skintreats Retinol Tonic is a really nice retinol product that works well to help with anti-aging and evening out the tone and texture of the skin. The texture of Pixi Skintreats Retinol Tonic is liquid; it feels very watery and has a bit of a cooling feeling on the skin. I really like using this product because it leaves your skin feeling really clean and plump. Pixi Skintreats Retinol Tonic is really easy to apply. Since it’s a toner, the best way to apply it is to put a bit on a cotton round and to swipe in on the skin. I found that I used about 1-2 saturated cotton rounds to cover the whole face and down the neck. Unfortunately, because you have to apply it to a cotton round, you waste a little bit of product in the process. 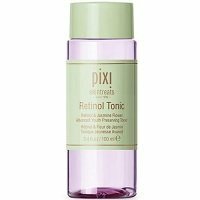 Pixi Skintreats Retinol Tonic dries immediately. As soon as you swipe the product on your face, it absorbs right into the skin. The smell of Pixi Skintreats Retinol Tonic smells really fresh and a bit like rosemary, which is actually found in the ingredients. 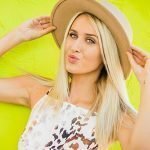 After using Pixi Skintreats Retinol Tonic for a short period of time, I found that my skin was firmer, more hydrated, and actually had a glow about it which I loved! Pixi Skintreats Retinol Tonic is full of a ton of really good ingredients for the skin, including Evening Primrose, Hyaluronic Acid, and Glycerin. Evening Primrose is an ingredient that can help a ton of different skin issues. It can help the skin with dryness, uneven skin texture, and even anti-aging. It’s full of Omega-6 fatty acids which is very important for healthy skin. 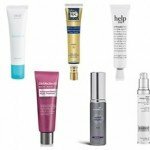 Hyaluronic Acid is found in many skincare products as well as anti-aging products. Hyaluronic Acid is great for hydration and plumping up the skin which can help smooth fine lines and wrinkles. Glycerin is great for locking moisture into the skin by drawing water from the air into the skin’s outer layer. It also helps to protect the skin from moisture loss by creating a protective layer. These three ingredients combined are great for helping the skin with anti-aging. The cost of Pixi Skintreats Retinol Tonic is $15.00 for 3.4 oz of product, which comes to $4.14 per oz. 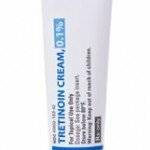 This is a pretty low price for a retinol product. Unfortunately, there is no money back guarantee for this retinol. To buy Pixi Skintreats Retinol Tonic, click here. Ingredients Evening Primrose is full of Omega-6 fatty acids which is great for the skin.